We don’t think homelessness will happen to us, our family or friends. People living on the street didn’t think it would happen to them. We don’t plan for homelessness. It often results from a combination of events such as relationship breakdown, debt, adverse experiences in childhood, ill-health. It can be complex to resolve - particularly for single people, who generally have a lower priority for housing assistance and, for various reasons, may not approach services for help, or find barriers when they do. It is difficult to understand the scale of the problem when the population is hidden, particularly at a local level. Homeless Link and St. Mungo’s Broadway suggest that only a third of local assessments of the population’s health and wellbeing, prepared by local authorities and their partners (the Joint Strategic Needs Assessment), include single homelessness. In England latest figures include: 2,414 rough sleepers (a snapshot); 9,975 people rough-sleeping prior to entering a housing related support service; 12,121 people left prison without settled accommodation; 16,402 people entering drug treatment with a housing problem or nowhere to live. In the grand scheme of things these are small numbers but at PHE we recognise that we must make this group a priority. The health of this population is significantly worse than that of the general population, and the cost of single homelessness to the NHS is considerable. A recent audit found that 41% reported a long term physical health problem and 45% had a diagnosed mental health problem, compared with 28% and 25%, respectively, in the general population. The last conservative estimate (2010) of the healthcare cost associated with this population was £85.65 million per year. Three of our priorities for the coming years (smoking, alcohol and tuberculosis) are also more prevalent amongst the single homeless population. There are things we can do, together. PHE is inviting local authorities who are committed to improving the health and wellbeing of single homeless people to work with us. We believe that if we are to reduce the inequalities faced by this population we need to improve the ‘system’ that single homeless people experience, from access to health care and support to improve their lifestyle, to finding a home of their own. This won’t be easy but we think public health locally can provide the necessary leadership. The good news is that we’re not starting from scratch. Others have already generated resources to help local areas understand their population, to commission inclusive services, and to improve access to primary care. The work of the Faculty of Homeless and Inclusion Health in establishing standards for commissioners and providers is particularly noteworthy, involving people with experience of homelessness in their development. There are also outstanding examples of practice from which we can learn. 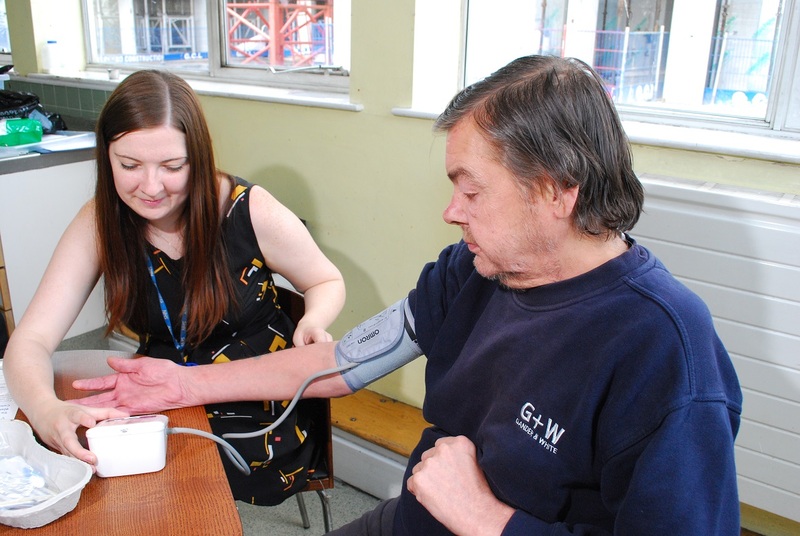 The partnership between public health, Bevan Healthcare and Horton Housing in Bradford is one such example, established with learning and support from Pathway; someone experiencing homelessness will benefit from a service which links primary and secondary care together with social care and housing. The Making Every Adult Matter coalition and Big Lottery pilots also add to our knowledge of how to improve outcomes for adults with multiple needs, many of whom experience homelessness. I am impressed and inspired by the energy and commitment of individuals working across so many sectors – including health care, local authorities, voluntary and community sectors - to improve the lives of people who are experiencing homelessness. I also know that public health professionals are equally committed to addressing social injustice and reducing inequalities. We have the makings of a formidable team, and the opportunity to make a difference. What is stopping us? I think the focus on single homeless people is a very good and much needed. I have heard how some homeless people prepare to be homeless and feel safer by being so. It is a complex areas Kevin, and I think your final point of, "We have the makings of a formidable team, and the opportunity to make a difference. What is stopping us?" is absolutely spot on.